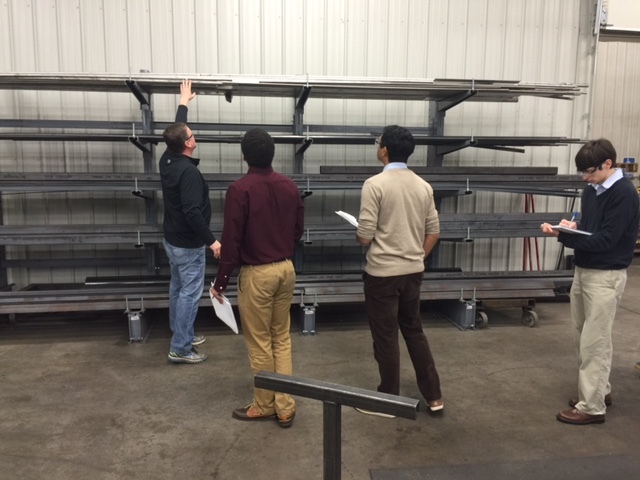 At Acucraft we don’t just believe in making an exceptional product, but we also believe in being good stewards and giving back to our community. To us, giving back doesn’t just mean monetary donations, but also taking the time to get involved in our local community on a personal level. 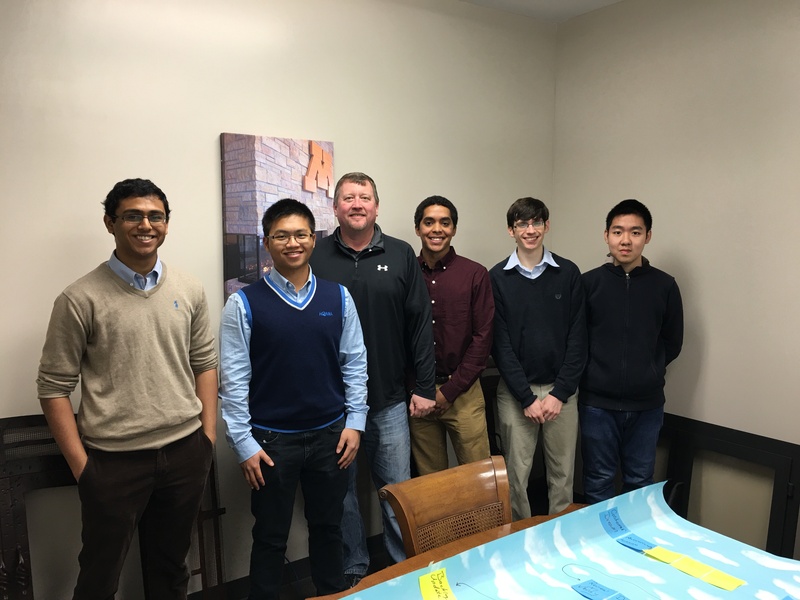 We recently had the chance to give back by sitting down with five sophomores from the University of Minnesota Carlson School of Management. 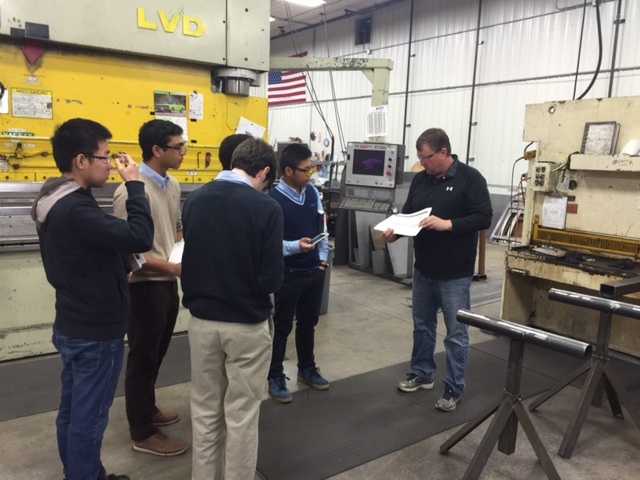 We were very excited to meet Bhavesh, George, Adam, Nick, and Duy Anh and help them better understand our business, how we implement Lean principles, and why we chose to the layout we did for our manufacturing team. 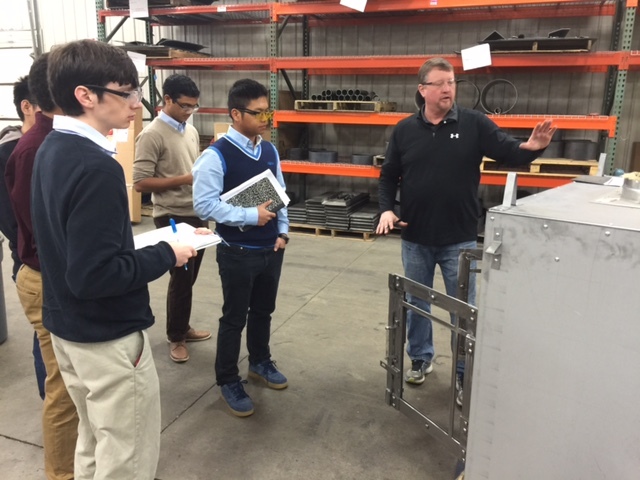 Our Director of Operations, Don Bennett, led the meeting with a history of Acucraft, our vision, and gave the students an in-depth tour of our facility explaining our flow & Lean implementation. 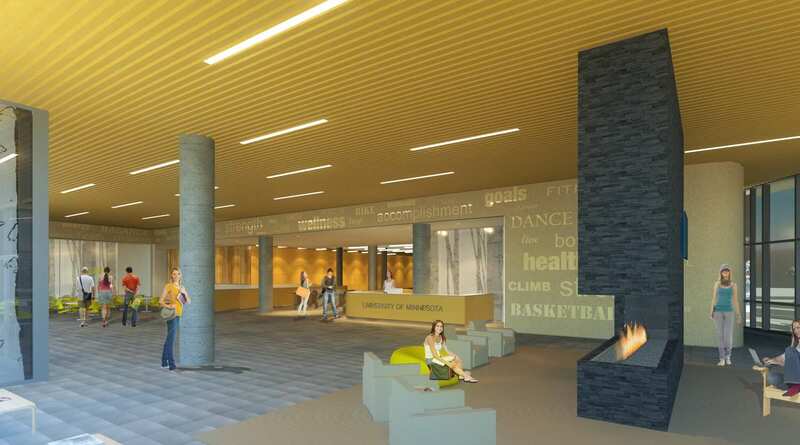 What the students didn’t realize was that Acucraft actually built a fireplace for the University of Minnesota Rec Center! 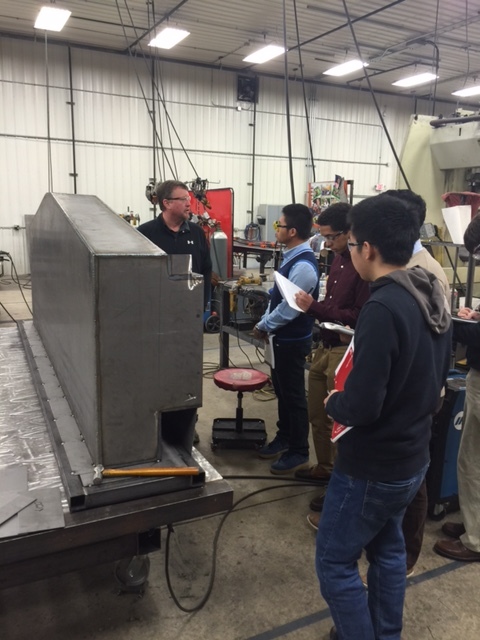 They had even seen the fireplace in person and were excited to know that one of our products had made it’s way into the University. 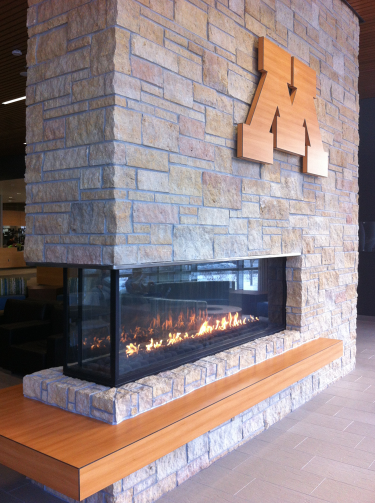 We built this commercial custom gas peninsula fireplace for the U of M in 2012 when they were expanding their Recreation Center based on renderings provided by Cannon Design and Metropolitan Mechanical Contractors. The fireplace was custom built with a front view of 20″ x 26″ and side viewing areas of 8′ x 26″. Being that this fireplace was going to be in a common area, they outfitted it with Acucraft’s Pantent-Pending Glass Cooling System to ensure the glass stayed at a touchable temperature. It was a pleasure meeting with these U of M students, we wish them nothing but the best of luck, and we look forward to meeting more students in the future! 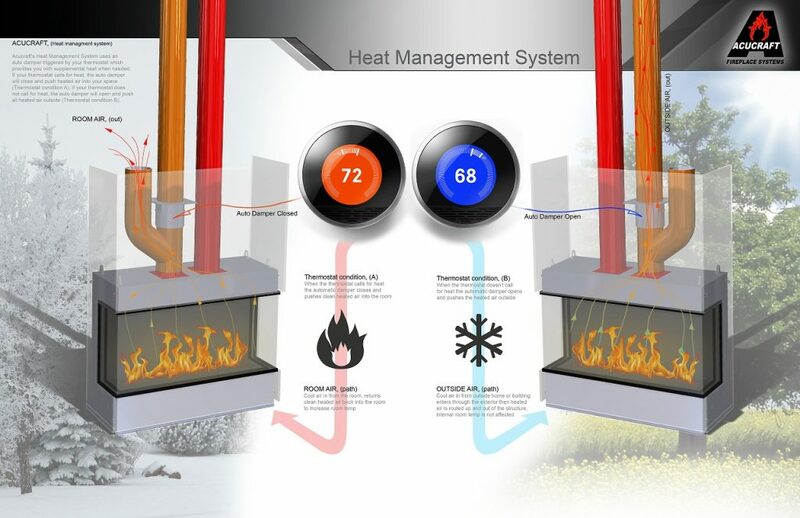 Learn more about our custom gas fireplaces by clicking here.